If you plan to visit San Diego and its surrounding areas, the Build Your Own San Diego pass will save you 20% off gate prices with visits to any 2 or more attractions. This build-your-own multi-attraction pass gives you 30 days from first use to explore your pick from 43 attractions. This pass is a great option for those that know exactly what they want to see in San Diego, and for travelers who want to take their time, since the Build Your Own San Diego Pass is valid for 30 days from first use. You have up to 1 year from date of purchase to use your pass for the first time. This pass is often the best deal available if you want to visit three or more attractions, especially some of the lesser known attractions. Harbor tours, museums, and more! Please note that some of the links on MouseSavers.com are “affiliate” links for other web sites. We receive a small marketing fee from those sites if you use one of our links to buy something. Using these links does not increase the price you pay. See our Marketing Disclosure page for more information on how we use affiliate links. 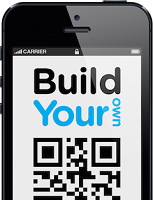 Build Your Own San Diego passes are already fully discounted. There are currently no additional discounts available for these passes. Build Your Own San Diego Pass saves you up to 20% off gate prices to any of the attractions you select! You can often save the most money if you find a prepackaged value pass that includes all the attractions you want to visit. You can save 18% to 30% off gate prices! San Diego Attraction Package Deals can be found here. These passes are already fully discounted. Promo codes do not apply. You may want to consider a Go San Diego Card if you just want to explore a bunch of major San Diego, Orange County and Los Angeles attractions, plus do boat excursions and other activities in a short time. The Go San Diego Card comes in 1 to 7-day increments, and provides admission to every included attraction. SeaWorld San Diego is only available on 3-, 4-, 5- and 7-day cards. You can visit SeaWorld on as many days as your card is valid. Passes are valid one year from date of purchase. This card is activated the first time you use it at a participating attraction, then it must be used on consecutive calendar days. You should compare Go San Diego Card prices with a Build Your Own Pass or Attraction Package Deal. 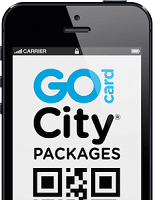 In some cases the Go San Diego Card may be a better deal. MouseSavers.com has a special discount on this pass as well. If you would like to check out other multi-attraction passes based on where you want to go, review our chart on Southern California Multi-Attraction Passes.